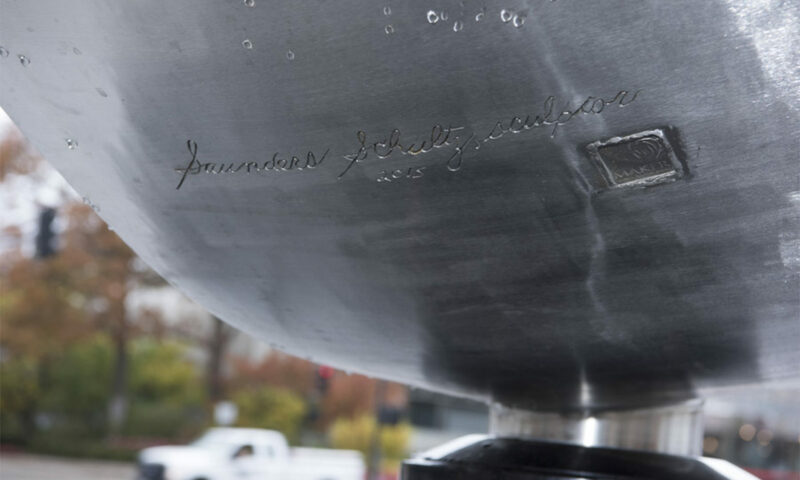 Sculptor Saunders Schultz installed his last creation in November 2015, at the age of 88. 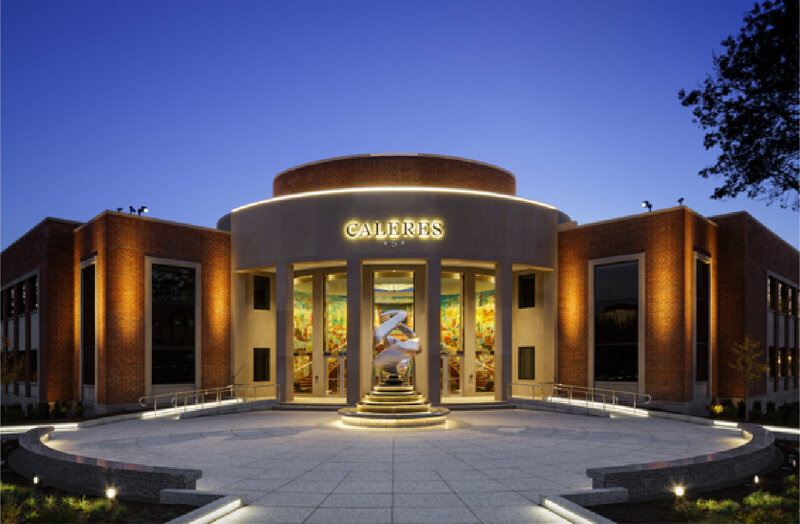 The Company that commissioned this piece was rebranding itself from “The Brown Shoe Company” to “Caleres.” They had been successful in business since 1878, and wanted to adopt a symbol that tied their past to the present and future. They loved Schultz' conceptualization of their idea, and of course, the sculpture. Mr. Schultz recommended the well known architect Mr. Theodore Wofford to design and oversee the complete alteration of the companies’ headquarters. Mr. Wofford was indeed hired, and did an extraordinary job. In the company’s original headquarters, seen now behind Schultz' sculpture, is a Fred Conway mural (circa 1952). Mr. Conway was a famous artist, and Mr. Schultz' mentor and friend. 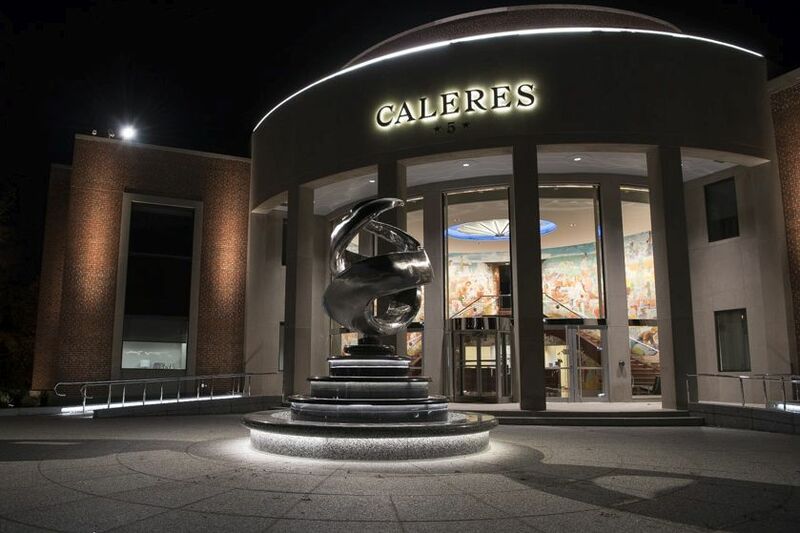 Caleres had initially considered taking the building down and building new headquarters. Mr. Schultz and Mr. Wofford together convinced the company to keep the building, tear down the walls (allowing the public to see the famed mural), and replace them with curved glass windows. They preserved the mural, and then designed a new plaza to create a completely unified space. The piece Continuum, itself, is an engineering feat. 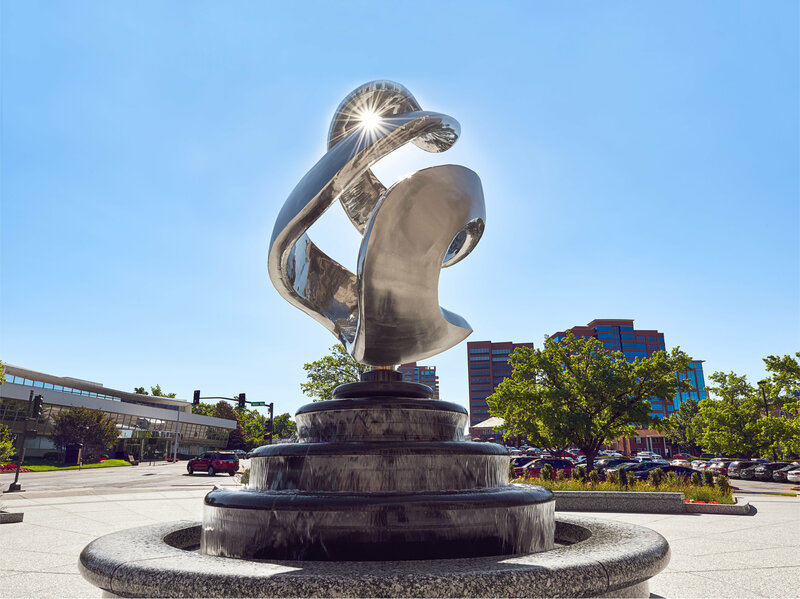 The stainless steel sculpture fountain weighs 3700 pounds. Mr. Schultz was in his late eighties, and no longer constructing the sculptures from his own studio. Many fabricators in the United States said that the model could not be replicated, as every surface was curved and complex. After interviewing many potential fabricators, Mr. Schultz chose "Maker Technical Sculpture Services" (Marina Guglielmi) in Toronto, Canada to help bring his vision into reality. He worked closely with her, repeatedly traveling to Toronto to oversee all of the construction phases in person. The entire team was remarkable, and the result, stunning. First two photos in gallery courtesy of Caleres. Third photo in gallery courtesy of Maker Technical Sculpture Services.